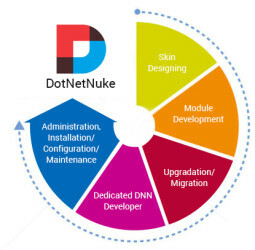 OdiTek provides cost-effective and customizable DNN Web Programming Services in order to render a range of DNN Web Development Services for both new and existing websites running on DNN / IIS / MSSQL combination which is becoming the choice of IT and non-IT industry leaders for dynamic websites. OdiTek leads the world market as a quality DNN Outsourcing Company in India through the development of DNN based websites and fast driven applications. OdiTek provides timely, efficient and affordableDNN Programming Services. We have gained experience through a variety of DNN Projects done for customers based in UAE and USA. There is a wide range of recommended development tools we are using for creating DNN extensions. The DNN Platform.The DNN Platform has a number of features that allow any type of DNN extension to be defined, described, and packaged. In addition, the Module Source Editor provides basic source code editing functionality for modules. For more advanced module editing features you can use the DNN Module Creator, an open source module that can be easily accessed and installed from the extensions page of your DNN installation. Web Matrix. Web Matrix is a standard Microsoft product that can be downloaded for free from the Microsoft Web Application Gallery. Web Matrix provides base-level editing capability intended for junior developers and power users. Web Matrix provides all the tools you need for building almost any type of DNN extension. Visual Studio. Visual Studio is a commercial Microsoft product that provides advanced code editing and development tools. Visual Studio is a great fit for more advanced developers and is the best choice for building complex extensions.